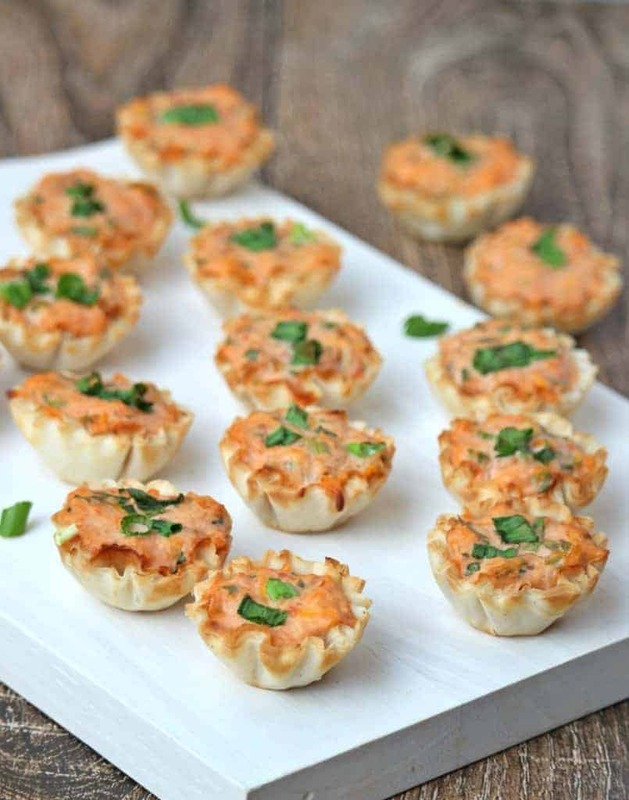 These tiny bite sized Savory Phyllo Cups is a great Mexican flavored appetizers that kids would love. 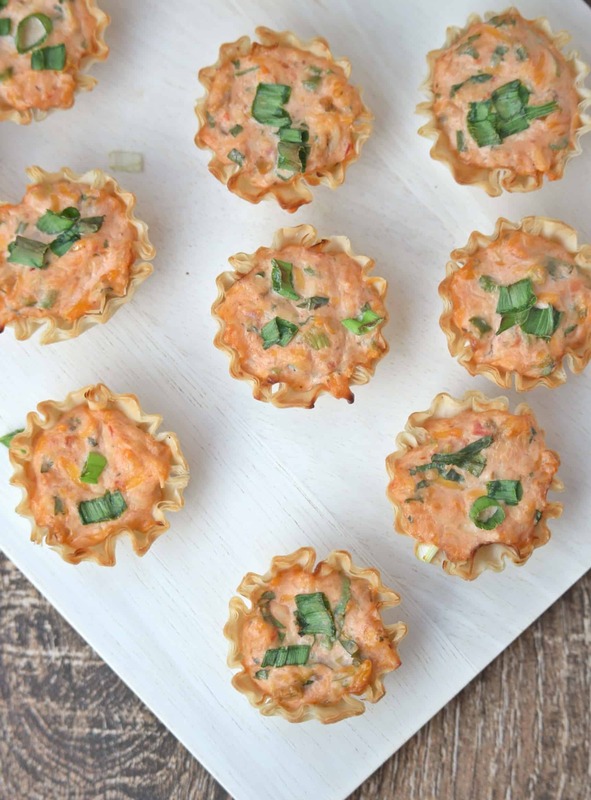 These phyllo cups will be great for parties and holiday dinners. After puff pastry sheet, The phyllo (filo) pastry sheet is my next best friend in the kitchen. 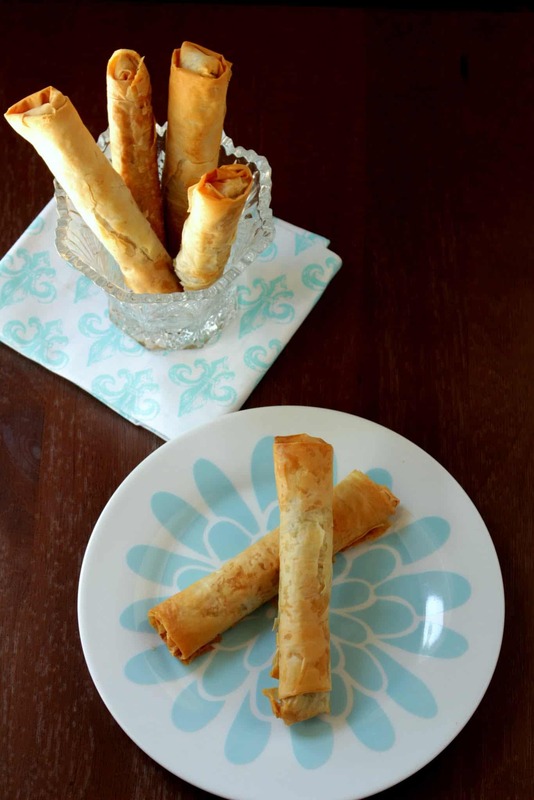 When it comes to making quick and easy appetizers, puff pastry sheets as well as the phyllo sheets comes in very handy. 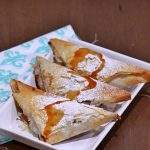 I have used the phyllo sheets in many recipes. 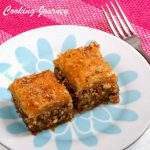 Baklava is one of my favorite desserts that is made up layering the phyllo sheets and alternating with nuts in the middle. 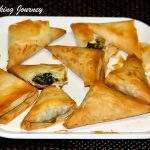 I have baked these mini spinach and paneer samosas using the phyllo sheets. 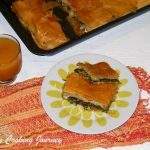 If you are looking for more savory recipes using the phyllo, check out the Turkish Cigars and also the Albanian Spinach Pie. This is the first time, I have bought these mini phyllo cups as I wanted to make Bite sized appetizers for this week’s Kid’s delight theme. I randomly came up with a savory filling including ingredients that I thought my boys would like. I sort of veered towards the Mexican flavors and kept it that way all along. You could make the filling way ahead of time and keep it refrigerated until ready to use. 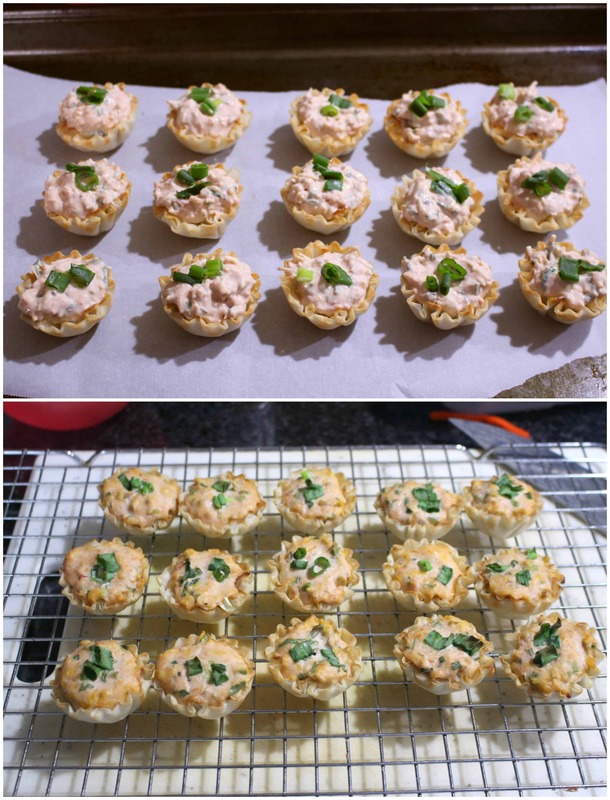 The phyllo cups are pre-baked and could be served as is. I filled it up with a savory filling and baked it until the cheese in the filling melted. 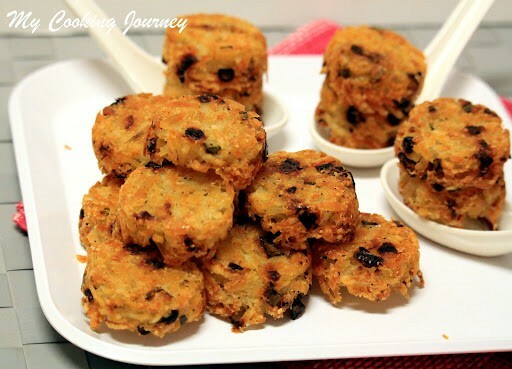 This would be a great choice for appetizers for kid’s birthday parties. 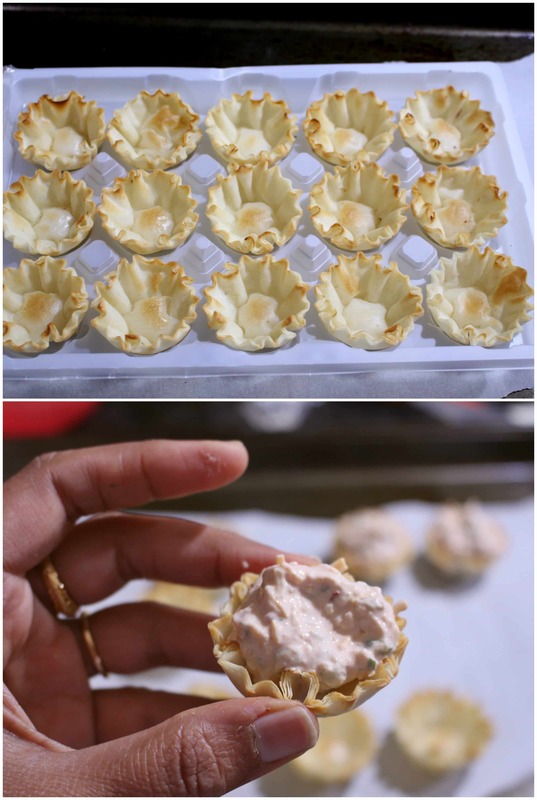 I can’t wait to try some desserts using the phyllo cups. The possibilities for the filling is endless and we could go wild with choices. Preheat the oven to 350 F. Layer a baking sheet with parchment or lightly grease a baking sheet. 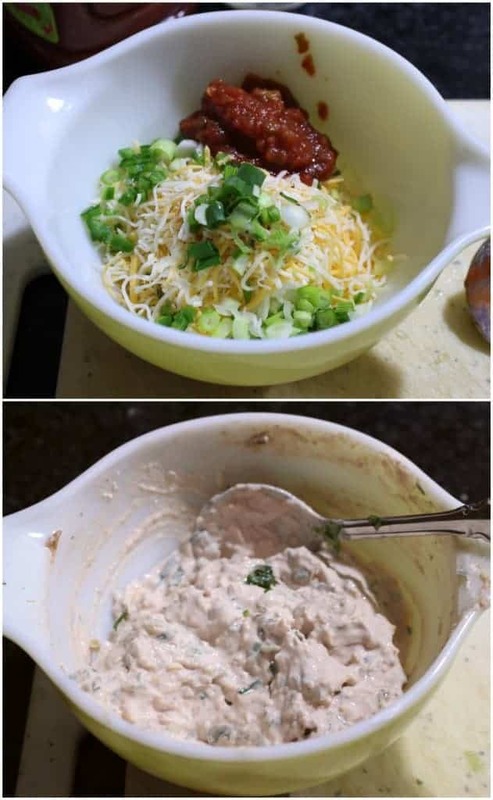 In a bowl, add all the ingredients mentioned for the filling and mix well. 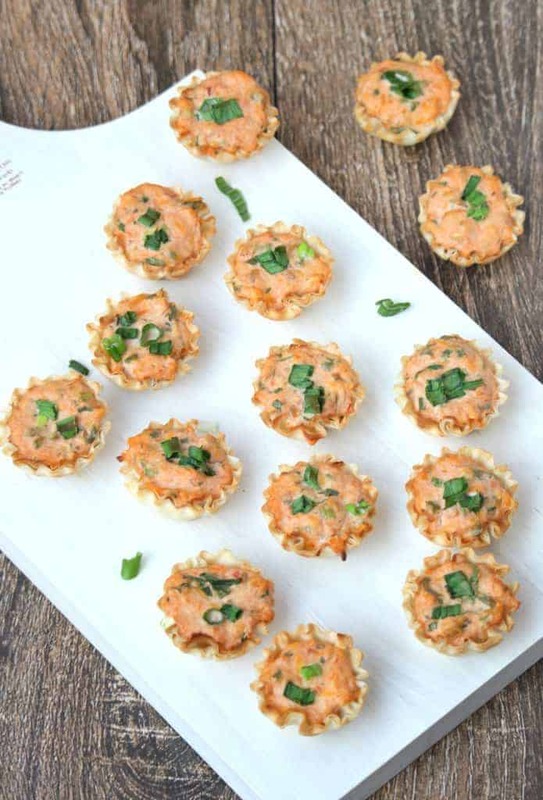 Remove the phyllo cups from the package and place them on the prepared baking sheet. Spoon the filling into the cups. It does not take a lot of filling as these shells are really small. 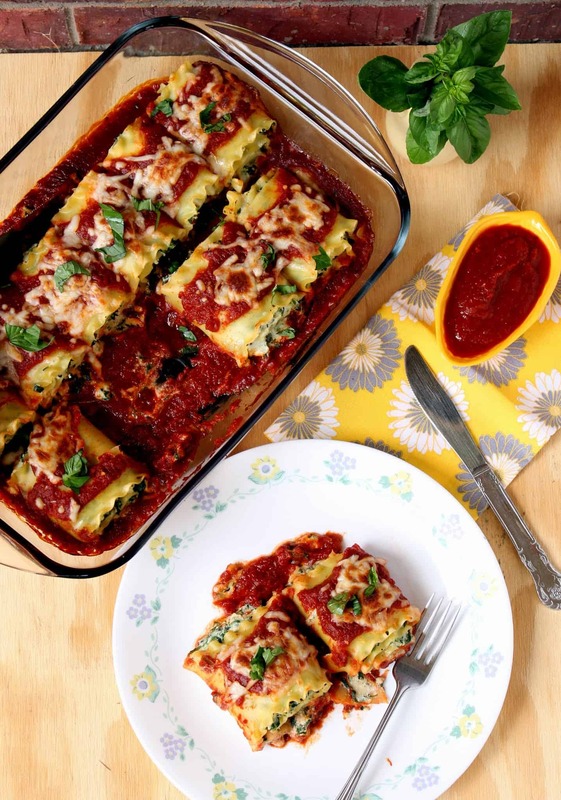 Bake them in the preheated oven until the cheese is melting (about 10 to 12 minutes). 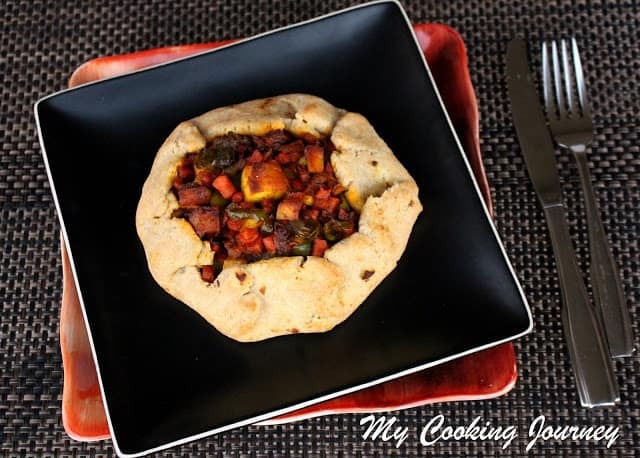 Remove from the oven and let it cool for couple for minutes before serving. These tiny bite sized Savory Phyllo Cups is a great Mexican flavored appetizers that kids would love.These phyllo cups will be great for parties and holiday dinners. 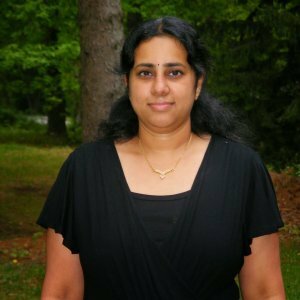 Wow Sandhya, these are fantastic..I am sure kids will simply love this and this will make a great party starter too! Very tempting. I know that these cups are God send. Filling it with any number of combinations, makes these versatile. 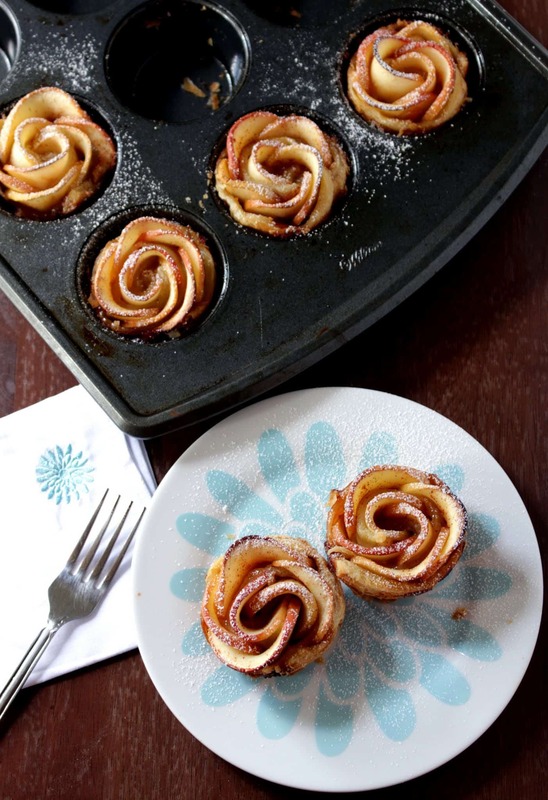 That’s one gorgeous treat and a splendid way to use those phyllo cups. 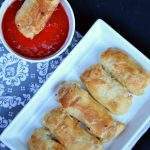 They are just perfect party finger food and super easy to make too. Those cups look super cute and delicious. Perfect for kids and adults alike! Lovely phyllo cups.. Looks awesome..
Wow these cups look so cute. 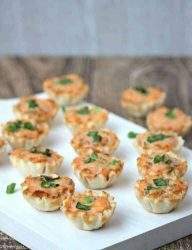 Cute phyllo cups, tempting appetizer Sandhya, am so tempted to give a try this cuties. Lovely!! I love those one-biters. I can eat like 20 of them and not feel guilty? Oh wait… LMFAO! Yummy!! I am definitrely wishing for Phylo sheets.